Haha! Now that I’ve roped you in with the hot term LOW MAINTENANCE, let’s get on the same page. Low maintenance in no way equals NO maintenance. For those who are less enthusiastic about working in their own gardens but still care about its appearance and up keep, outside of hiring someone else, there are steps you can take to ensure a more positive experience. If you build/develop your soil (1) , plant the right plant (2) and water to establish any newly planted plants (3) – you’ll find yourself enjoying the growth of your now healthy landscape. 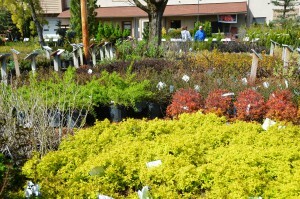 Healthy landscape = Low Maintenance. 1. Soil Development: Amend your soil – compost, posey power, topsoil, leaf mold, straw, pine needles, comtil….lasagna layering, mulching, sheet mulching, and tilling…what to choose and how to do it? Anything – as long as you are attempting to improve your soil, any and every bit helps. 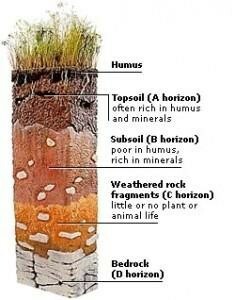 The soil around your home was stripped of its natural nutrient filled and humus rich layer (A horizon pictured above) when your home was built and replaced with surrounding sub-soil. In central Ohio we already have heavy alkaline clay soils, but the sub-soil tends to be even denser and often times compacted. Nowhere near ideal for root growth and thriving conditions. Therefore, choose to feed your soil and you’ll be rewarded with stronger, healthier plants. It’s worth your investment and time, every time. 2. The right plant. 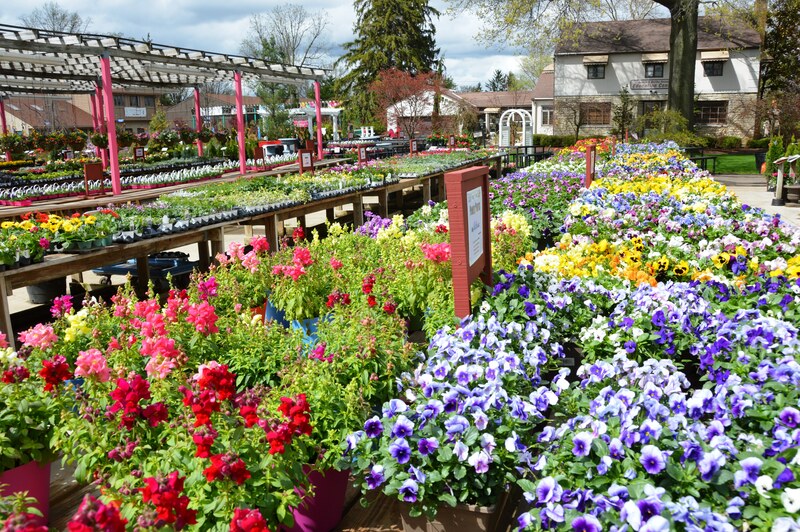 There is a common saying in the landscape industry, “right plant in the right spot.” Meaning there are lots of different types of growing conditions and certain types of plants are better suited in some situations than others beyond simply sun or shade. For example, you may have a low spot in your yard that remains soggy longer than other areas and there are certain trees, shrubs even perennials that tolerate “wet feet.” Noting all the details in your landscape can become overwhelming quickly and I would advise taking notes or making a working plan of your yard (aka site evaluation). Doing sections at a time will not only help you become more familiar with your space and how you’d like to use it, but will also clarify where certain types of plants are needed. Does this still sound daunting? 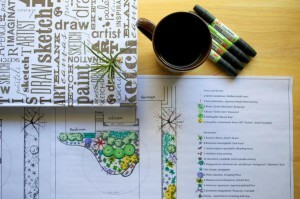 Seek a design from a professional (the importance of landscape design) and any reputable designer will not only tackle solutions for site conditions, choosing the right plant for the right spot, they’ll make sure the overall landscape will function the way you need and look attractive. 3. Watering. 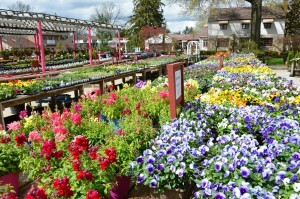 You’ll need to water in your newly planted plants so that they establish a good root system. It typically takes one to two years for newly planted plants to become establish and no longer in need of supplemental water. Learning how to water will also save you time, future headaches and be easier on your pocket book. If you water your plants well for the first year and only during drought periods the following season, you’ll notice fuller growing plants! This entry was posted in Gardening, Landscape, Low maintenance. Bookmark the permalink.